USE OF THE WEBSITE. You may only use this Website for its intended purpose and solely in accordance with this Agreement. In addition, you may not restrict or inhibit any other person from using or enjoying the Website. The Website may contain links to other Internet Websites and third-party resources. Washington Laser Institute INC is not responsible for either the availability of these outside resources or their content, including for any products or services you may obtain by contacting any person as a result of use of the Website or its features. Washington Laser Institute INC may, but is not obligated to, monitor your use of the Website. INTELLECTUAL PROPERTY & TAKEDOWN POLICY. The content of this Website is protected by law, including without limitation United States copyright law, trademark law, and applicable international treaties. You are granted limited, personal permission to display, reproduce, distribute, and download the materials on this Website solely for your own personal, non-commercial use, provided that none of the content is modified and all of Washington Laser Institute INC trademarks, copyrights and related superscript indications (ex. ™ or ©) are retained. You may not “mirror” any content contained in this Website without the express prior written consent of Washington Laser Institute INC. Except as stated herein, none of the content may be reproduced, distributed, published, displayed, downloaded, or transmitted in any form by any means without the express prior written permission of Washington Laser Institute INC. Washington Laser Institute INC does not grant you any licenses express or implied, to the intellectual property of Washington Laser Institute INC except as limited and expressly stated in this Agreement. ACCOUNT INFORMATION. 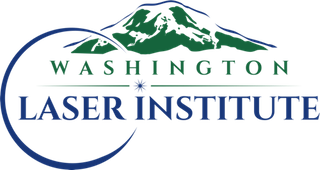 If you create an account with Washington Laser Institute INC, you are responsible for maintaining the security of your account and data. Your login information must be kept private and should not be used by anyone other than yourself and/or your employees. You are responsible for the confidentiality and use of your password and agree not to transfer or resell your use of or access to the services. You may and should change your password anytime you think your account is no longer secure. You must immediately notify Washington Laser Institute INC of any unauthorized uses of your data, your account, or any other breaches of security. Washington Laser Institute INC will not be liable for any acts or omissions by you, or the deleting of data from your account. SECURITY TECHNOLOGY. Your information is reasonably protected in our secure database. Sensitive data is typically encrypted. You may edit your profile at any time. All credit card and login information is completed over a secure connection. PAYMENTS & SUBSCRIPTION. Washington Laser Institute INC provides two account types. All payments (including any applicable taxes) must be made in U.S. dollars. If payment is not received or your credit card fails renewal, Washington Laser Institute INC may suspend your use of your account until payment is received. You are responsible for the payment of all charges associated with the use of WashingtonLaserInstitute.com on your account. REFUNDS & CUSTOMER SERVICE ISSUES. 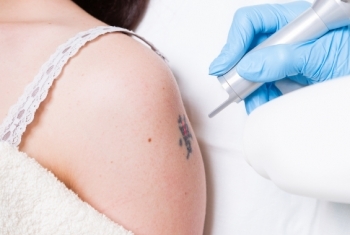 Washington Laser Institute INC is committed to customer satisfaction. Please contact us with any customer service or refund questions. Please see our Refund Policy. MODIFICATION. This Agreement may be modified by Washington Laser Institute INC at anytime by updating and posting a new version on the Website without other notice to you at the sole discretion of Washington Laser Institute INC. Your continued use of this Website will mean you agree to the amended version and accept the terms and conditions of the version that are in force during such use. Washington Laser Institute INC may also change or impose fees for products and services provided through the Website at any time in its sole discretion. Washington Laser Institute INC may establish or change, at any time, general practices and limits concerning other Washington Laser Institute INC products and services in its sole discretion. COMPLIANCE WITH LAW. You agree to use the Website in strict compliance with all applicable laws, ruling and regulations and in a fashion that does not, in the sole judgment of Washington Laser Institute INC, negatively reflect on the goodwill or reputation of Washington Laser Institute INC. You agree and acknowledge that you shall take no actions which would cause Washington Laser Institute to be in violation of any laws, rulings or regulations applicable to Washington Laser Institute INC.
INTERNATIONAL LAW. This Website is controlled and operated by Washington Laser Institute INC from within the United States. Washington Laser Institute INC makes no representations that materials contained within the Website are appropriate or available for use in other locations, and access to the Website from locations where such activity is illegal or otherwise restrained is prohibited. Those who choose to use the Website from locations outside the United States do so on their own initiative and risk and remain solely responsible for compliance with all applicable laws. INDEMNIFICATION. You agree to indemnify, defend and hold us harmless from and against any and all liability, damages, loss or expense (including reasonable attorney’s fees) arising from your use of this website or breach of any of representations and obligations set forth herein. TERM AND TERMINATION. This Agreement is effective as of the date of your first access or use of the Website, and shall remain in effect for the duration of your access or use and each access or use thereafter. This Agreement shall automatically terminate upon your breach of this Agreement. WEBSITE USE “AS IS”, WARRANTIES DISCLAIMED. THIS WEBSITE IS PROVIDED TO YOU STRICTLY ON AN “AS IS” BASIS WITHOUT WARRANTIES EXPRESSED OR IMPLIED. Washington Laser Institute INC IS NOT RESPONSIBLE FOR ANY INACCURATE CONTENT POSTED ON THIS WEBSITE. THE USE OF SAME IS AT YOUR OWN RISK. Washington Laser Institute INC IS not responsible for any conduct of any users at any time during or after a member terminates the account. Washington Laser Institute INC IS not responsible for any technical malfunctions of the Website, your web site, the servers, internet connections, traffic congestion, delay of data transfer, failure of email account, coding errors in the web site or a user’s personal computer hardware, software, or data. ALL CONDITIONS, REPRESENTATIONS, AND WARRANTIES, CONATIEND ON THIS WEBSITE WHETHER EXPRESS, OR IMPLIED, INCLUDING, WITHOUT LIMITATION, ANY IMPLIED WARRRANTY OF MERCHANTABILITY, FITNESS FOR A PARTICULAR PURPOSE, OR NON-INFRINGEMENT OF THIRD PARTY RIGHTS, ARE HEREBY DISCLAIMED TO THE MAXIMUM EXTENT PERMITTED BY APPLICABLE LAW. IN NO EVENT SHALL WASHINGTON LASER INSTITUTE INC BE LIABLE TO YOU OR ANY THIRD PARTY FOR ANY INDIRECT, CONSEQUENTIAL, EXEMPLARY, SPECIAL OR PUNITIVE DAMAGES, INCLUDING LOST PROFIT OR BUSINESS OPPORTUNITIY DAMAGES ARISING FROM THE PRODUCTS OR YOUR USE OF THE WEBSITE, EVEN IF WASHINGTON LASER INSTITUTE INC HAS BEEN ADVISED OF THE POSSIBILITY OF SUCH DAMAGES. WASHINGTON LASER INSTITUTE'S FULL LIABILITY TO YOU FOR ANY CAUSE WHATSOEVER AND REGARDLESS OF THE FORM OF THE ACTION, WILL AT ALL TIMES BE LIMITED TO THE AMOUNT PAID BY YOU TO WASHINGTON LASER INSTITUTE INC FOR USE OF THE WEBSITE. SOME STATES DO NOT ALLOW LIMITATIONS OR EXCLUSIONS OF LIABILITY FOR INCIDENTIAL OR CONSEQUENTIAL DAMAGES, SO THE LIMITATIONS OR EXCLUSIONS HEREIN MAY NOT APPLY TO YOU. THE TERM OF ANY IMPLIED WARRRANTY CREATED BY LAW SHALL BE THE LESSER OF ONE YEAR FROM DATE OF WEBSITE USE OR THE TERM PROVIDED HEREIN. ASSIGNMENT & WAIVER. You may not assign this Agreement or any of your interests, rights or obligations under this Agreement. If any provision of this Agreement is found to be invalid by any court having competent jurisdiction, the invalidity of such provision shall not affect the validity of the remaining provisions of this Agreement, which shall remain in full force and effect. No waiver of any of this Agreement shall be deemed a further or continuing waiver of such term or condition or any other term or condition. Subject to that restriction, this Agreement will be binding on, inure to, and be enforceable against the parties and their respective successors and permitted assigns. Our failure to enforce your strict performance of any provision of this Agreement will not constitute a waiver of our right to enforce such provision or any other provision of this Agreement subsequently. MISCELLANEOUS PROVISIONS. The state or federal courts sitting in King County, Washington shall have exclusive jurisdiction and venue over any dispute arising out of this Agreement and any product purchases made through the Website, and you hereby consent to the jurisdiction of such courts. This Agreement may not be modified, supplemented, qualified, or interpreted by any trade usage or prior course of dealing not made a part of this Agreement by its express terms. Except as expressly provided in a separate license, service or other written agreement between you and Washington Laser Institute this Agreement constitutes the entire agreement between you and Washington Laser Institute INC with respect to the use of the Website and any software or service, information and content contained herein, and supersedes all discussions, communications, conversations and agreements concerning the subject matter herein. To the extent that any part of this Agreement is deemed invalid by any court having competent jurisdiction, the invalidity of such provision shall not affect the validity of the remaining provisions of this Agreement, which shall remain in full force and effect. You may preserve this Agreement in written form by printing them for your records, and you waive any other requirement that this Agreement be evidenced by a written document. GOVERNING LAW. This Agreement and your use of the Website shall be governed by the laws of the State of Washington, without regard to principles of conflict of laws or international treaties. You agree that any claim or cause of action arising out of or related to your use of the Website, information, services, and/or content must be filed within one (1) year after such claim or cause of action arose.